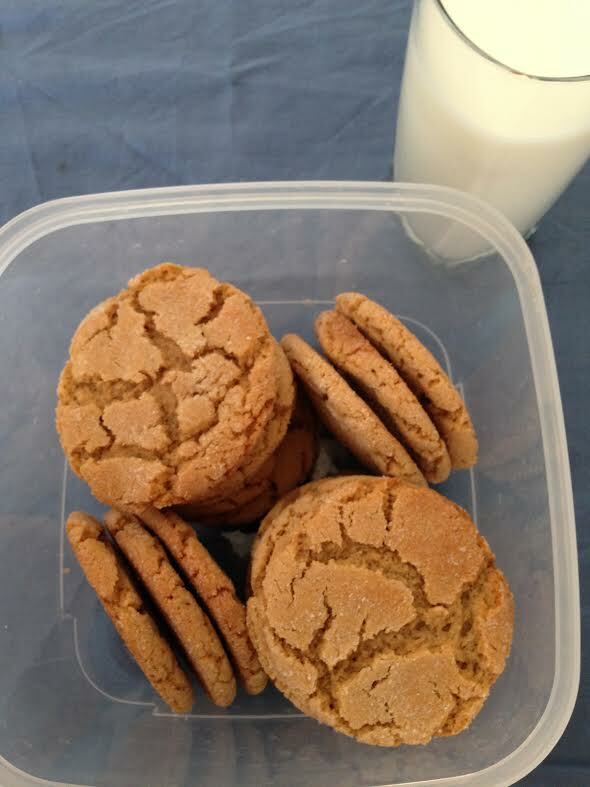 One of Chris’s favorite cookies is peanut butter cookies. He likes them soft and chewy. Most peanut butter cookie recipes will produce this only upon first cooling from the oven, but by the next day, they’re hard and crispy. Except these. These remained super soft the next day. Preheat oven to 350 degrees and spray cookie sheet with non-stick spray. Cream together the sugars, shortening, butter, and peanut butter. Add the eggs and vanilla, mix well. In another bowl, whisk together the dry ingredients and incorporate dry ingredients into the creamed mixture. Using a large, 2 tbsp. cookie scoop, smooth out the balls and roll in sugar. Transfer to a cookie sheet and DO NOT make criss-cross marks with a fork. Bake for 11 – 13 minutes.